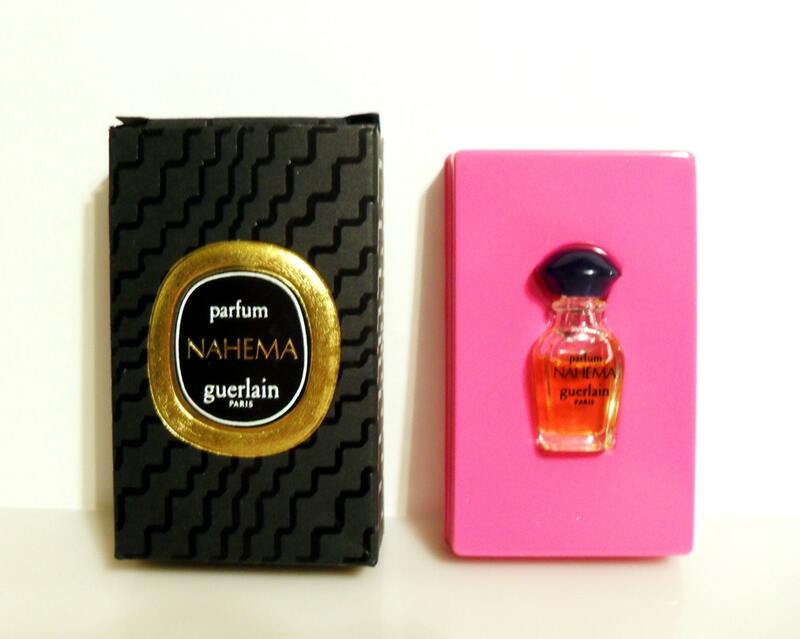 Vintage 1980s Nahema 1 ml Pure Parfum Extrait Splash Micro Mini Miniature Bottle in Box. The tiny bottle is about 70% full - see photo for actual fill level. The perfume is old and no longer fresh. 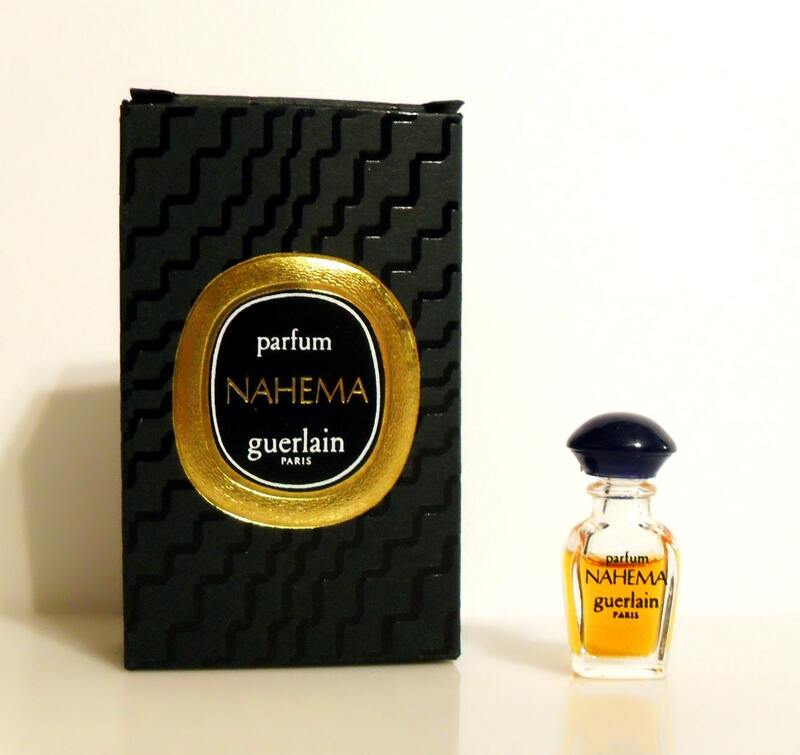 Nahema was created by Jean-Paul Guerlain in 1979. Middle notes: hyacinth, Bulgarian rose, ylang-ylang, jasmine, lilac and lily of the valley. Base notes: vanilla, passion flower, Peru balsam, vetiver and sandalwood. I am cleaning out my sample boxes and selling many of my vintage, hard to find and discontinued perfume samples. Most of these are manufacturer's samples and may have the words "Echantillon/Sample/Gift Not for Sale/Vente Interdite/Complimentary" on the card as these were promotional items from the manufacturer at the time of release and were not intended to be sold by the original retailers. However, I have purchased all of these second hand items over the years to do reviews on them for my perfume websites. Now it is time for someone else to enjoy them. Some samples may have been tested at least once in order for me to complete a review on them, others may have not been tested. These fragrances are old and vintage, they are most likely not fresh as they once were and their scent most likely has changed over time, please understand that I cannot guarantee that the fragrance still smells good to you. If the sample is carded, it may show signs of wear and tear from storage. Many of these samples are discontinued fragrances that are no longer produced and are considered collectibles. 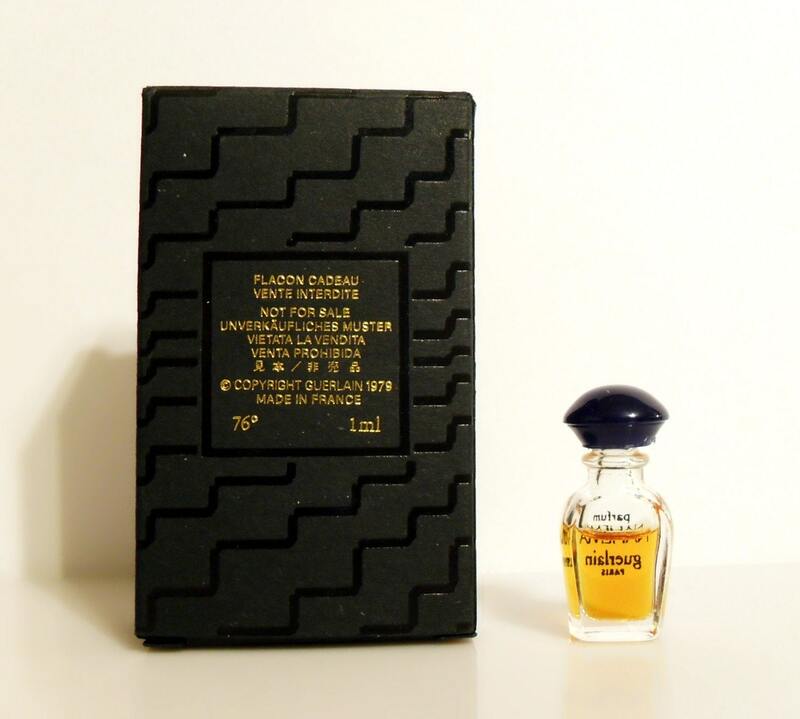 Samples were originally intended to give you an idea of the fragrance before you would purchase a large bottle. They are a great way to prevent a disappointing blind buy. Please see my policies on vintage fragrances before purchasing as I do not offer returns or refunds. These are being sold as collectibles only.